Employees are the most significant investment an organization will make for its future. Recruiting the right people is an integral part of any business plan, but unfortunately, it is also a challenging and time-consuming task. The 2018 Deloitte “Global Human Capital Trends Report” finds that talent acquisition is the third most important challenge organizations face today. Hiring is daunting and expensive, and there is a lot at stake, as a single bad hire can cost a company nearly $15,000, according to CareerBuilder®. Given the high pressure of acquiring top talent in today’s competitive job market, recruiters and hiring managers cannot afford inefficient communication practices or delays in the interviewing process. Screening candidates via text messaging expedites the hiring process and enables recruiters to align their outreach with the communication preferences of today’s on-the-go workforce. The benefits of text-based interviews are numerous, including increased recruiter productivity, reduced bias in hiring decisions, and an improved method for marketing employment brands, to name a few. Learn how to effectively use text messaging to save on recruiting time and improve the candidate experience. Attend: Texting to Recruit Talent: How to Leverage Text Messages to Screen More Job Candidates and Market Employment Brands, on Wednesday, April 25, 2018. Click here to learn more, or to register today! No matter the industry, organization, or job, interviews frequently start similarly with a variety of questions that help the interviewer get to know the candidate better. An interviewer will commonly ask about recent job experience or strengths and weaknesses, for example. It’s advantageous to create ready-to-use templates to conserve time and tailor specific questions as the text conversation continues. Beyond applicant questions, recruiters should also be prepared to respond to questions from candidates about company benefits, hours, and vacation policy, to name a few. Luckily, text-based interviewing platforms like Canvas have the functionality to pull together libraries of this information, from sample responses to company documents, which alleviates time spent repeatedly articulating the same responses. 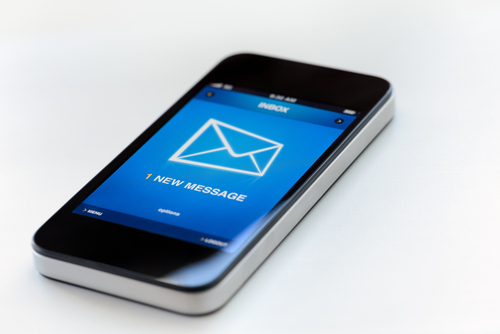 Given the casual nature of text messaging, candidates often need direction on the level of professionalism to use. Recruiters shouldn’t anticipate an overly formal discussion. In fact, recruiters (and candidates) can even utilize emojis to express emotion succinctly. Today’s talent generation is using emojis in everyday personal communications, so a “smiley face” or “thumbs up” can give recruiters a better sense of the candidate’s personality beyond the job interview. Text interviews aren’t designed to replace in-person or phone interviews but should be utilized to begin a dialogue early in the screening process. Consider it as a “get-to-know-you” tool, similar to initial discussions on a dating app. Once a recruiter has covered preliminary logistics via text, he or she can further the conversation over the phone or in person. Texting is an effective strategy for organizations and recruiting agencies of all sizes that want to lessen time to hire and ensure they’re bringing in the right people for the job. Learn even more about how to leverage text-based interviewing platforms to improve recruiting and market employment brands by joining the webinar I’m hosting along with BLR® on April 25. Reserve your spot, here. Kelly Lavin is a Human Resources executive who excels at helping companies hire and retain great people through creative and impactful talent practices. Recognizing the need for a method to boost recruiting productivity, Kelly has teamed up with Aman Brar and Jared Adams to launch Canvas, the first enterprise-grade text-based interviewing platform that enables recruiters to screen more job candidates and market employment brands. Prior to Canvas, Kelly spent 5 years with Apparatus, rising through the ranks from director to executive vice president of talent management.Canvas has been used by tens of thousands of candidates across a variety of industries and positions, including: machinists and welders to software engineers, sales professionals, physical therapists, nurses, pilots, and many more. Canvas users span from start-ups to Fortune 500 companies located in Silicon Valley to the East Coast to France.